Dramatists Play Service, Inc., 9780822225294, 40pp. Over the course of 30 years, the lives of Kayleen and Doug intersect at the most bizarre intervals, leading the two childhood friends to compare scars and the physical calamities that keep drawing them together. "Up-and-coming dramatist Rajiv Joseph is an artist of original talent." —NY Times. "Irresistibly odd and exciting…This darkly humorous drama is Rajiv Joseph's most satisfying work." —NY Daily News. "This wondrous strange two-hander finds as much humor as horror in the play's bizarre events." —Variety. "Mystical, arresting, and quirkily amusing." —Washington Post. Rajiv Joseph's play BENGAL TIGER AT THE BAGHDAD ZOO has been awarded a grant for Outstanding New American Play by the National Endowment for the Arts. Rajiv's New York productions include ANIMALS OUT OF PAPER (Second Stage Theatre, summer 2008), THE LEOPARD AND THE FOX (Alter Ego, fall 2007), HUCK & HOLDEN (Cherry Lane Theatre, 2006), and ALL THIS INTIMACY (Second Stage Theatre, 2006). In Los Angeles HUCK & HOLDEN was produced by The Black Dahlia Theatre in 2006. Through the Lark Play Development Center, Rajiv has traveled to Mexico and Romania, where BENGAL TIGER AT THE BAGHDAD ZOO was translated into Spanish and Romanian, respectively, and performed in staged readings. 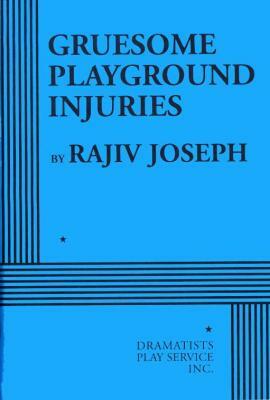 Rajiv has been awarded the Paula Vogel Award by the Vineyard Theatre and the 2009 Kesselring Fellowship. Rajiv is a Founding Member of the new New York based theatre company The Fire Department and was a contributing writer on their first two theatrical events, SPEAKEASY and AT WAR: AMERICAN PLAYWRIGHTS RESPOND TO THE WAR IN IRAQ. He is a former Lark Playwriting Fellow and Dramatists Guild Fellow. His plays have been published by Samuel French, Dramatists Play Service, and Smith & Kraus. He received his B.A. in Creative Writing from Miami University and his M.F.A. in Playwriting from NYU's Tisch School of the Arts, and he is currently a Language Lecturer at NYU with the School of Art and Public Policy and the Expository Writing Program. He served for three years in the Peace Corps in Senegal, West Africa.